THE House independent bloc yesterday urged the warring factions in the Department of Health (DoH) to end their internal bickering at the soonest possible time so as not to jeopardize the delivery of health care services to the poorest of the poor. Leyte Rep. Martin Romualdez, head of the independent bloc, said that it is in the best interest of many Filipinos, if the internal conflict in the DoH is addressed immediately. “It is an internal matter. I just hope they resolve it immediately for the greater interest of our people who badly need medical help and assistance in the countryside,” said Romualdez. The congressman expressed concern over the DoH employees’ being confused and worried as a consequence of the multimillion-peso vaccine mess and other controversies hounding the department, which resulted in the extended indefinite leave of Health Secretary Enrique Ona. The employees also want the issues, including the ongoing “war” between acting Health Secretary Janette Garin and Undersecretary Teodoro Herbosa, settled immediately. The House independent bloc leader said that the DoH has a heavy workload, especially with the growing worldwide concern over the spread of the dreaded Ebola virus. 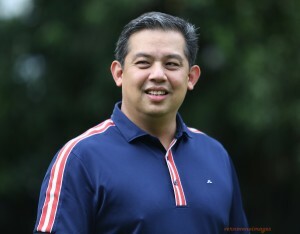 “We hope that the interest of the public will be given highest priority over and above any other things because they have a lot of things to do,” said Romualdez. Earlier, Herbosa threatened to sue Garin for attempting to oust him from the DoH. The DoH employees are hoping that appropriate charges will be filed against DoH officials involved in the questionable vaccine procurement, but the investigation should be conducted quietly. Malacañang has extended indefinitely the leave of absence that President Benigno “Noynoy” Aquino III imposed on Ona after it lapsed last November 27. The leave was extended pending the review of Ona’s explanation on his controversial choice of an anti-pneumonia vaccine, allegedly against the recommendation of global health authorities. Aside from the purchase of pneumococcal vaccine in 2012 that is being questioned, Ona is also facing questions concerning the P1-billion rehabilitation of the Fabella Memorial Hospital.